Pizzas are among those foods that people often find hard to give up when starting a low carb or keto diet. A thick pizza crust can have up to 30 grams of carbs, which is definitely not ideal for your diet. So, if you are a pizza lover, the best way to get the taste of your favorite food now that you’re going low carb is to make it into a casserole. This Keto Pizza Casserole from Dot is very delicious and will surely be loved by everyone, whether they are on the keto diet or not. 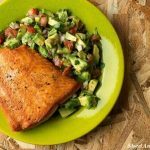 I’ve made a few tweaks to the recipe as usual to make it even healthier for keto such as using avocado or coconut oil for sauteing instead of olive oil. They both oils have a higher smoke point than olive oil. Many health experts say that olive oil should not be heated to above 180C (356F) and who knows what temperature you reach when you use it to sauté. In fact, many say that if you want the health benefits of olive oil you should not heat it at all. Keep it for your salads or pouring over vegetables. If you want a change from pork you can use grass-fed ground beef or free range turkey mince instead. You can of course top it with some low carb vegetables instead or as well as the pepperoni if you like. Just make sure you saute them first to soften before you put it in the oven. 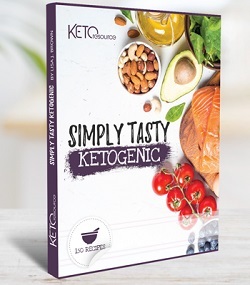 Want easy Keto Recipes at your fingertips? You get 150 easy-to-prepare recipes so you can start eating Keto and stick with it for the long haul. You’ll never run out of ideas for breakfast recipes, hearty soups and salads, lunch recipes, appetizers, dinner recipes and keto stews, side dishes, crockpot meals and of course desserts and sweet treats. What more could you want? 2. Grease your casserole dish with a little ghee and set aside. 3. In a large skillet, cook the ground sausage and make sure that you break the meat into pieces. 4. While the meat is cooking, heat a small saucepan and add the pizza sauce, diced tomatoes, and the sliced basil leaves. Cook until the sauce is fully heated. 5. Once the sausage is cooked, place the meat on paper towels to drain. 6. Wipe the skillet you used for cooking the sausage and heat the avocado oil in it. Add the mushrooms and sprinkle with a pinch of salt. Sauté until the mushrooms are softened and browned. Remove any excess liquid. 7. Place the sausage in a casserole dish making sure that you spread it evenly. Top it with the mushrooms. Pour on the sauce and spread evenly. Sprinkle with Mozzarella cheese and then arrange the pepperoni slices on top. 8. 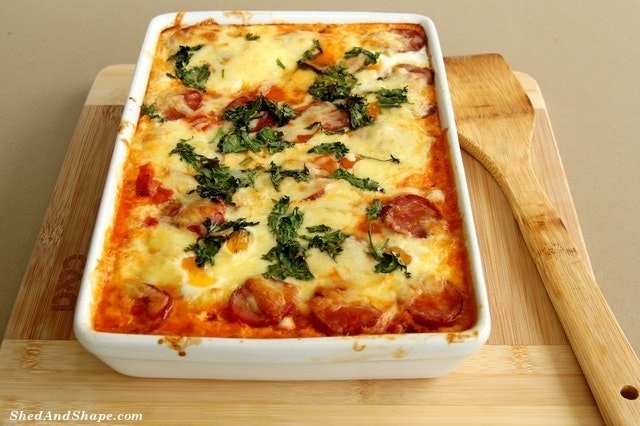 Bake the casserole for 20 – 25 minutes or until the Mozzarella cheese is melted. 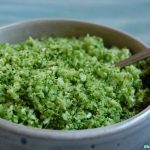 Previous articleIs the Eco-Keto Diet better than Keto? 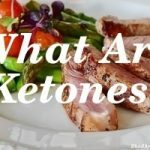 What Are Keto Diet Ketones?